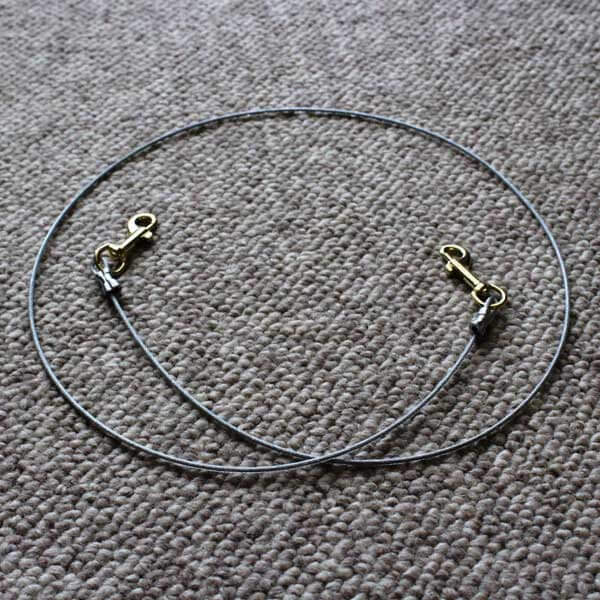 Teenie Tethers for toy dogs and small puppies! 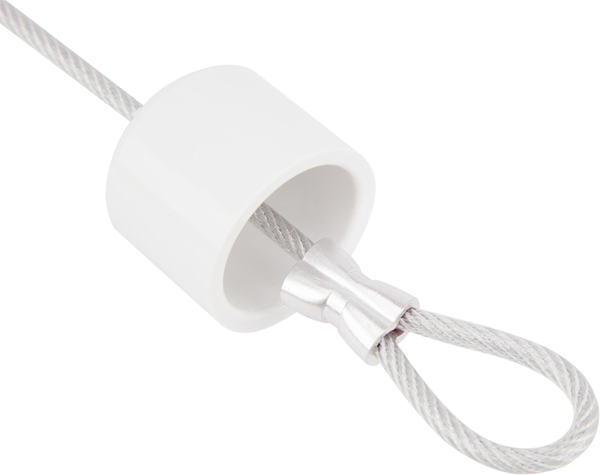 Smaller gauge cable, lightweight hardware; tie ’em down, don’t WEIGH ’em down! Available in 2, 3 & 4-foot lengths! Teenie Dor-stops are 4 feet. 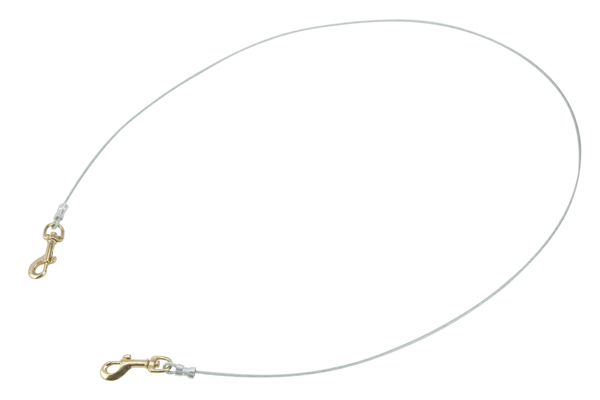 Pet Tethers are intended for indoor use as an aid in training and canine behavior management. Your dog MUST be under your close supervision at all times; never leave a tethered dog alone for ANY length of time, as serious injury may result. Pet Tethers may be used outdoors as means of managing your dog’s behavior while actively engaged with a responsible adult handler in training; NEVER leave a dog tethered outdoors unattended for any reason, for any length of time, or serious injury may result.